This 2017 Subaru Outback comes with a CARFAX Buyback Guarantee, which means you can buy with certainty. This SUV is a superb example of what a tough, work focused vehicle should be. Exceptional towing, acceleration and torque will help you get the job done. Stylish and fuel efficient. It's the perfect vehicle for keeping your fuel costs down and your driving enjoying up. Navigate through all the icky weather with ease in this AWD-equipped Subaru Outback, and even get non-stop traction for your non-stop lifestyle! In addition to the amazing traction control, you may even qualify for an insurance reduction with this AWD vehicle. Drive home in your new pre-owned vehicle with the knowledge you're fully backed by the CARFAX Buyback Guarantee. This Acura RDX defines excellence in an SUV. It has the convenience of limitless boundaries paired with city sophistication. A Acura with as few miles as this one is a rare find. This RDX was gently driven and it shows. Your buying risks are reduced thanks to a CARFAX BuyBack Guarantee. You appreciate the finer things in life, the vehicle you drive should not be the exception. Style, performance, sophistication is in a class of its own with this stunning Cadillac XTS. Intricately stitched leather and ergonomic design seats are among the details in which test drivers say that Cadillac XTS is in a league of its own Drive any city's streets like you've lived there all your life using the navigation system on this Cadillac XTS. When you purchase a vehicle with the CARFAX Buyback Guarantee, you're getting what you paid for. Stylish and fuel efficient. It's the perfect vehicle for keeping your fuel costs down and your driving enjoying up. The Audi A4 is a compact luxury sedan with a sporting cousin in the S4. Both aim to bring a high-quality all-around driving experience to buyers looking for a bit of practicality and luxury in the mid-$30,000 range. With more personality than a similarly priced mid-sized sedan, the A4 gives up a little bit of size, but offers additional sport and luxury in equal helpings. A turbocharged engine and advanced chassis make the A4 feel lively, while it's finely crafted interior is practically dripping with quality. A supercharged V6 in the S4 brings an impressive level of performance to a practical 4-door. This vehicle is loaded with great features, plus it comes with the CARFAX BuyBack Guarantee. The LaCrosse Leather is well maintained and has just 30,736mi. This low amount of miles makes this vehicle incomparable to the competition. Your buying risks are reduced thanks to a CARFAX BuyBack Guarantee. This Audi Q5 Premium has a tough exterior complemented by a well-designed interior that offers all the comforts you crave. The Audi Q5 Premium's pristine good looks were combined with the Audi high standard of excellence in order to make this a unique find. This AWD-equipped vehicle handles well in any weather condition or terrain. You'll benefit from superb handling, improved steering and excellent acceleration. Your buying risks are reduced thanks to a CARFAX BuyBack Guarantee. Gently driven doesn't even begin to explain how lovingly cared for this ultra-low mileage vehicle has been. Intricately stitched leather and ergonomic design seats are among the details in which test drivers say that Buick Regal is in a league of its own If, upon choosing the road less traveled you find yourself lost, relax and remember this beautiful car has navigation. The Buick Regal is sized slightly smaller than mainstream mid-size sedans like the Toyota Camry, Honda Accord or Nissan Altima but a little larger than mid-size performance/luxury sedans like the Acura TSX or Volvo S60. At a price that's well below those premium brand sedans, GM is pitching the Buick as an affordable luxury car-alternative. With its available 2.0L turbocharged engine, the Regal is now more powerful than many of its competitors while maintaining solid fuel economy numbers. With a full range of standard convenience and safety features, plus a fashionable look, the Regal is a safe, sporty and comfortable alternative for families who are uninspired by mainstream mid-sized offerings. CARFAX BuyBack Guarantee is reassurance that any major issues with this vehicle will show on CARFAX report. The Mazda CX-5 Grand Touring offers a fair amount of utility thanks to its advanced features and unique styling. It's also quite sporty, and injects an ample amount of handling chutzpah into the ridin'-high body of a family-friendly SUV. How to protect your purchase? CARFAX BuyBack Guarantee got you covered. Do so much more with one vehicle. This INFINITI QX50 gives you everything you need an automobile to be. This INFINITI QX50 features AWD. That means power and control delivered to all four wheels for maximum grip and improved handling. It's not often you find just the vehicle you are looking for AND with low mileage. This is your chance to take home a gently used and barely driven INFINITI QX50. Marked by excellent quality and features with unmistakable refined leather interior that added value and class to the INFINITI QX50 Time is money, and thanks to the navigation system on this INFINITI QX50, you'll be spending a whole lot less time getting to your destination. The INFINITI QX50 comes with a slew of standard luxury features. The 3.7L V6 engine is quite capable for most on-road SUV needs and the list of standard safety measures is extensive. Additionally, QX50 features an impressive rating of 17 mpg city and 24 mpg highway. When you purchase a vehicle with the CARFAX Buyback Guarantee, you're getting what you paid for. With CARFAX one owner report you can be sure that this Cadillac ATS Sedan was only gently owned. 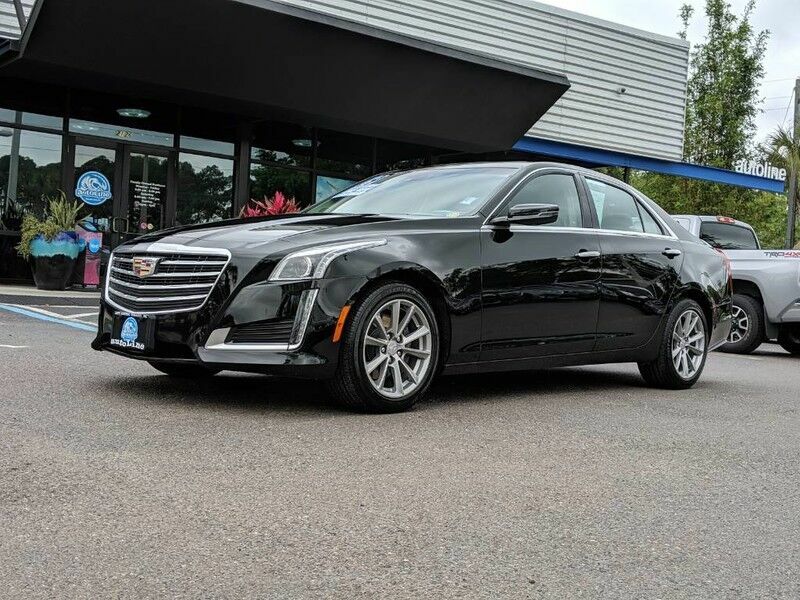 The interior of this Cadillac ATS Sedan Luxury RWD has been through meticulous inspection and could almost pass for a brand new vehicle. The 2015 Cadillac ATS Sedan is built with pure muscle. Punch the throttle and feel the power of its torque and horsepower plant you firmly to the back of the seat. The greater your fuel-efficiency, the less your carbon footprint. And with exceptional MPGs, this Mazda Mazda6 treads ever so lightly on Mother Earth. Exceptional in every sense of the word, this incredibly low mileage vehicle is one of a kind. The mid-size sedan segment is as crowded and as competent as it's ever been, so Mazda knew it needed a new Mazda6 to rule the class. That's exactly what the company has delivered. Exterior styling is eye-catching and evocative, while interiors are spacious, with high-quality soft-touch materials throughout. Power and fuel efficiency place the Mazda6 near the top of the class, while its base price of under $21,000 means it is less expensive than the Honda Accord, Nissan Altima, Toyota Camry, Ford Fusion and Chevrolet Malibu.